The member of South Korean popular boy band Super Junior, Choi Si Won, after having a good performance in the “Athena: Goddess of War,” his acting skill in the Poseidon drama currently in air is also commendable, and is also well received. In Poseidon action drama which describes the story of Coast Guard, Choi Si Won plays the lead role for the first time as Kim Sun Woo. Kim Sun Woo used to be the problematic character for marine police special task force, and was transferred to Incheon Coast Guard Investigation 9 team after involving in dispute. Although as a singer, Choi Siwon is the darling of Hallyu (Korean Wave), gathering all the love of fans, but as an actor, Choi Siwon is just a rookie. Leading the drama by a new star is bound to cause a lot of suspicion, but Choi Siwon is using his acting and efforts to eliminate these doubts. 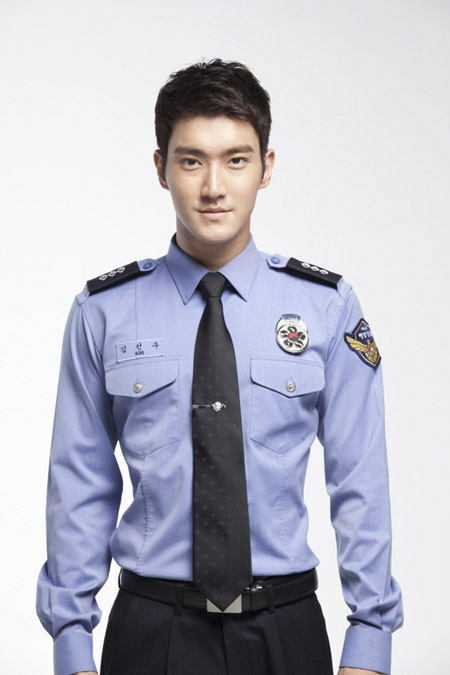 Choi Si Won has played very realistically the character of Kim Sun-woo who is full of justice and domineering, especially when wearing the uniform of the special force, Choi Si Won looks handsome, extremely seductive. “Now my father is very happy, I think there is no the current me if there is no prayer of father. I do not have a break after debut. All things are the same, once place for a long time will rust. So I know the importance of time, when there is free time will think of how to use it, I hope can also be like currently to live busily and happily.